Compliment your style with some sparkle with this luxurious diamond bracelet. 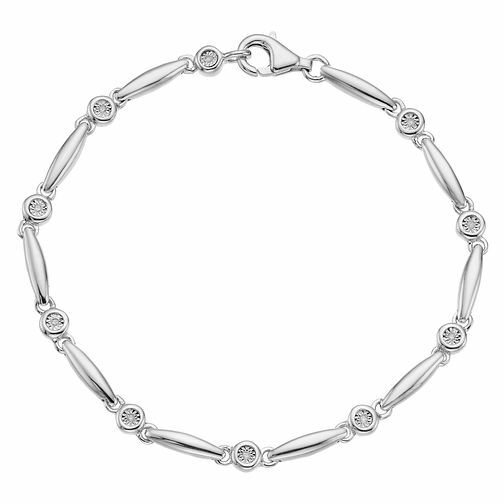 Styled in stunning sterling silver and adorned with delicate round cut diamonds in a beautiful station design, this gorgeous bracelet offers a combination of elegance and class while still adding a unique touch to any fashion. Whether you pair this bracelet with other simple designs to create an individual layered look or wear it as a statement piece, this diamond bracelet is the perfect accessory to bring glam to any look.